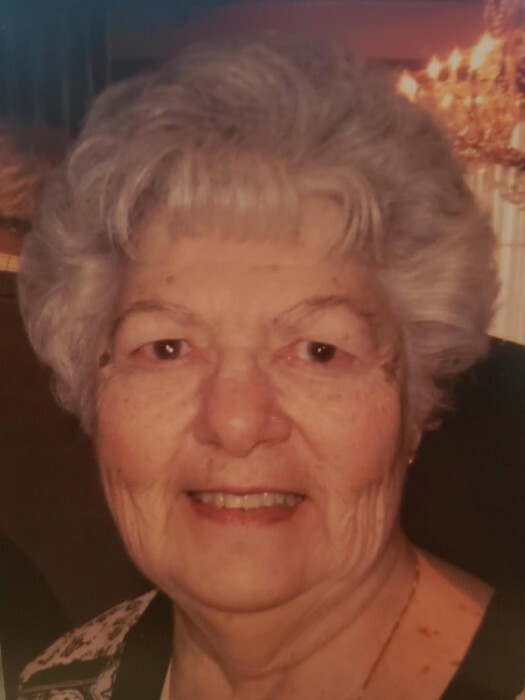 Obituary for Kathleen T. (Sanzotta) Manzi | Nardolillo Funeral Home, Inc.
83, passed away peacefully at home on April 7, 2019. She was the beloved wife of Frank J. Manzi for 56 years. Kathleen loved her family more than anything in this world. She was the beloved mother of Joseph F. Manzi, Sr, and his wife Barbara, Camille A. Egan and her husband Michael, and Maria K. Manzi. She also leaves behind 5 grandchildren: Michael & Ian Egan, Joseph F. Jr. & Danielle Manzi, Brittney Richards and her husband John, and one great-grandson, John J. Richards (JJ). She also leaves behind many cherished nieces and nephews. Kathleen was a fun-loving person, with a heart of gold. Every family get-together included playing board games, eating seafood and having many laughs. She made everyone feel loved and welcomed. She enjoyed bingo, arts and crafts, camping with her family and conducting bus trips with her husband for over 25 years. Kathleen was predeceased by her parents, Francesco and Carmella (Litterello) Sanzotta. She was born on November 27, 1935 in Corona, New York. She was sister to the late Vincent and Nicholas Sanzotta, Angela DeSimone and Marie Bisi. Kathleen’s devotion to the Blessed Mother was immeasurable. She was a proud, chartered member & past president of the St. Mary’s Feast Society Ladies Auxiliary for many years, member of the St. Mary’s Church Italian Cultural Society, Knightsville Seniors Club, and the Oaklawn Grange. Special thanks to Johnny Gervais, and Yvette Rogers and Beth Lockwood from Kindred Hospice for the amazing love and care they gave and for helping to make mom’s final months content. Funeral from the NARDOLILLO FUNERAL HOME & Crematory, 1278 Park Avenue, Cranston on Friday, April 12th at 9 a.m., followed by a Mass of Christian Burial at 10:00 a.m. in St. Mary’s Church, Cranston. Burial will take place in St. Ann Cemetery, Cranston. Visiting hours will be held on Thursday, April 11th, from 4-8pm. In lieu of flowers, memorial contributions may be made to St. Mary’s Feast Society Ladies Auxiliary, 15 Phenix Avenue, Cranston, RI 02920.